Jim Carrey to Play Robotnik in Sonic the Hedgehog Movie! 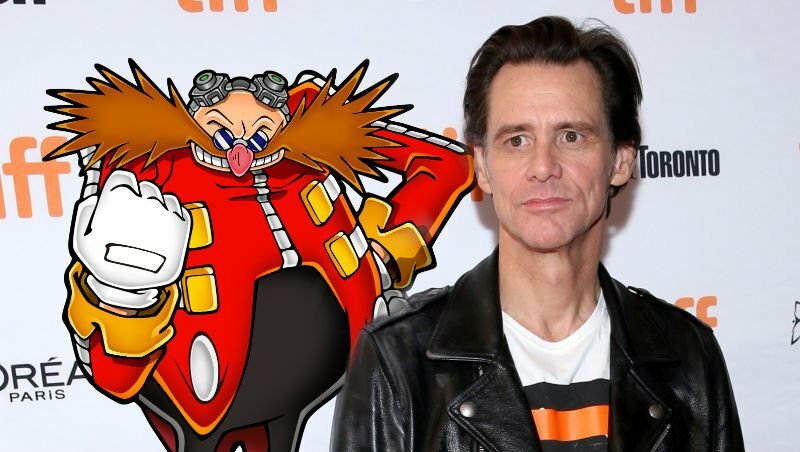 Deadline is reporting that the Sonic the Hedgehog movie has found its villain with the addition of comedian Jim Carrey who will play Robotnik in the film. Carrey joins a cast for the live-action/animation hybid that includes Ride Along‘s Tika Sumpter and Westworld‘s James Marsden. Also known as Dr. Eggman, Robotnik has been the primary antagonist of the Sonic franchise for decades, making his debut appearance in the first game in the series. Sonic the Hedgehog will take its cues from the popular games, focusing on Sonic’s attempts to battle the evil Doctor Robotnik who is on a quest to assemble the Chaos emeralds. This mark the first time that the Sonic games have been adapted for the big screen, but the character has previously appeared in both Wreck-It Ralph and this year’s Ready Player One. Sonic the Hedgehog was first seen in 1991 on the SEGA Genesis. Since then, the character was inducted into the “World Video Game Hall of Fame” in 2016 at The Strong National Museum of Play in Rochester, New York. Most recently, the popular franchise has seen two new hit releases in 2017, Sonic Mania and Sonic Forces (PlayStation 4, Nintendo Switch, Xbox One, PC). Total sales of the series including both packaged and digital downloads count over 360 million units.